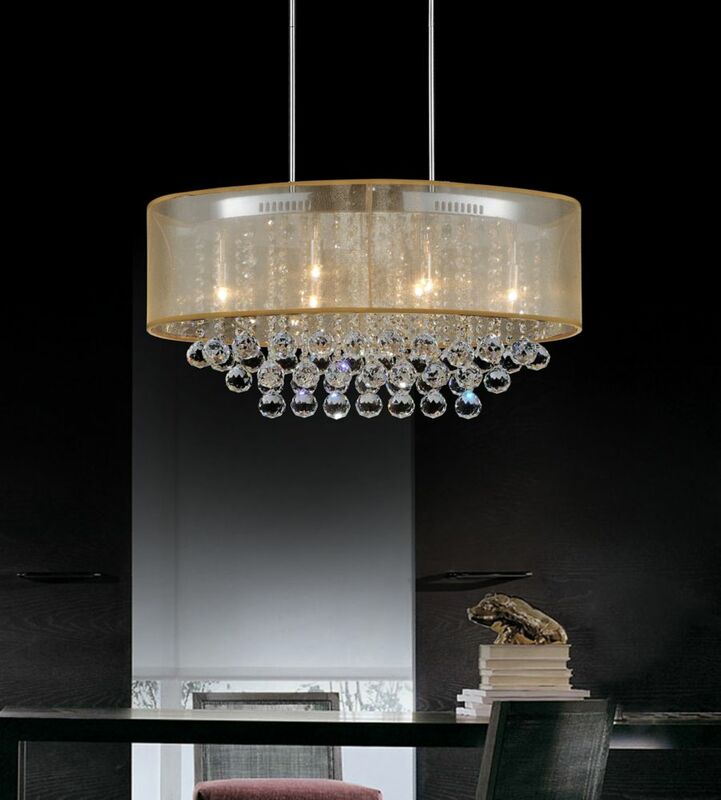 A stunning gold shade pendent chandelier trimmed with spotless clear crystals to add an elegant touch to every home. A stunning white shade pendent chandelier trimmed with spotless clear crystals to add an elegant touch to every home. A stunning white shade pendent chandelier trimmed with spotless clear crystal to add an elegant touch to every home. Oval 26 Inch Ceiling Chandelier with Gold Shade A stunning gold shade pendent chandelier trimmed with spotless clear crystals to add an elegant touch to every home. Oval 26 Inch Ceiling Chandelier with Gold Shade is rated 5.0 out of 5 by 1. Rated 5 out of 5 by Heybo from beautifulness This chandelier is stunning. The crystals are so elegant. It took us a while to install it because the instructions were minimal but it was pretty straightforward.